We take Visa and Master Card and ship worldwide. All of our autographs are authenticated to the best of our ability and within reason. We provide all provenance with your purchase. 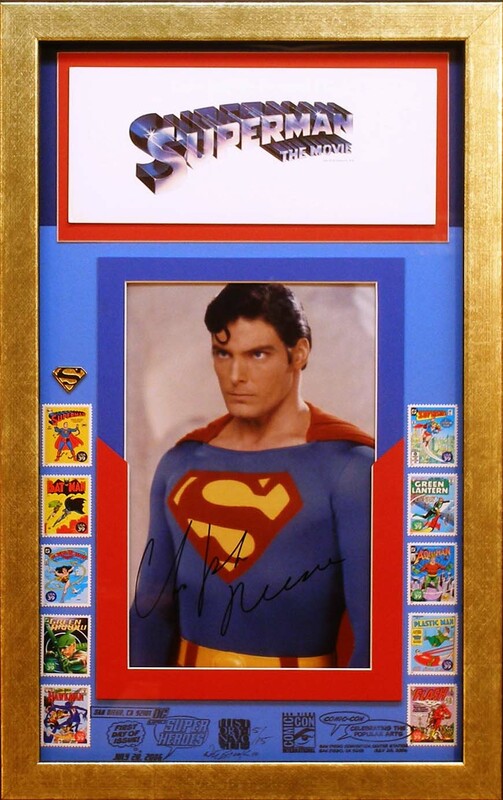 Autographed by Brandon Routh, the star of Superman Returns and 2009’s Man of Steel movies. Look, down on the ground! It’s Evel Knievel after the jump at Caesar’s Palace, December 31, 1967, a crash which put him in the hospital and in a coma for 29 days! Evel Knievel authentic autographed photo is included in this piece, part of our American Motorcycle edition - 14" X 11" finished size. Custom-built, hand-finished Spanish frame molding and conservation glass. We ship anywhere, and take plastic, too. Just had to say, you are looking quite fine for a gent of 70. I guess steel is the new 35? 70 years ago, Superman first appeared in Action Comics #1 (thank you, Joe!). Time-Warner has been ordered to share control of the Superman copyright with the surviving heirs of Superman’s creator Jerome Siegel. Siegel and his partner Joseph Shuster sold the rights to Superman (for $130, thank you!) in 1938 to DC Comics. That contract expired in 1999. As of Wednesday, March 27, justice has been served, and Siegel’s wife and daughter will now receive an undetermined share of the profit from the man of steel’s copyright. Superman as portrayed by Brandon Routh in “Superman Returns” which grossed $200 million dollars domestically. “Superman Returns” is one of the movies which may be affected by the judgment. Future films are also subject to sharing. Those that star Superman include another sequel and a “Justice League of America” movie. So goes the oft-quoted maritime adage. Complete with stamps, postmarks as well as the autograph of Brandon Routh, star of Superman Returns! COA for the signature comes with, along with your personalized letter of ownership. You get the USPS commemorative stamp and first-day-issue postmark, a high-quality photo reproduced from an original negative…and…a certified authentic autograph by Jimmy himself! This gathering of historic Hollywood memorabilia is incomparable to anything else you will find for sale. Each piece comes custom-boxed to you. 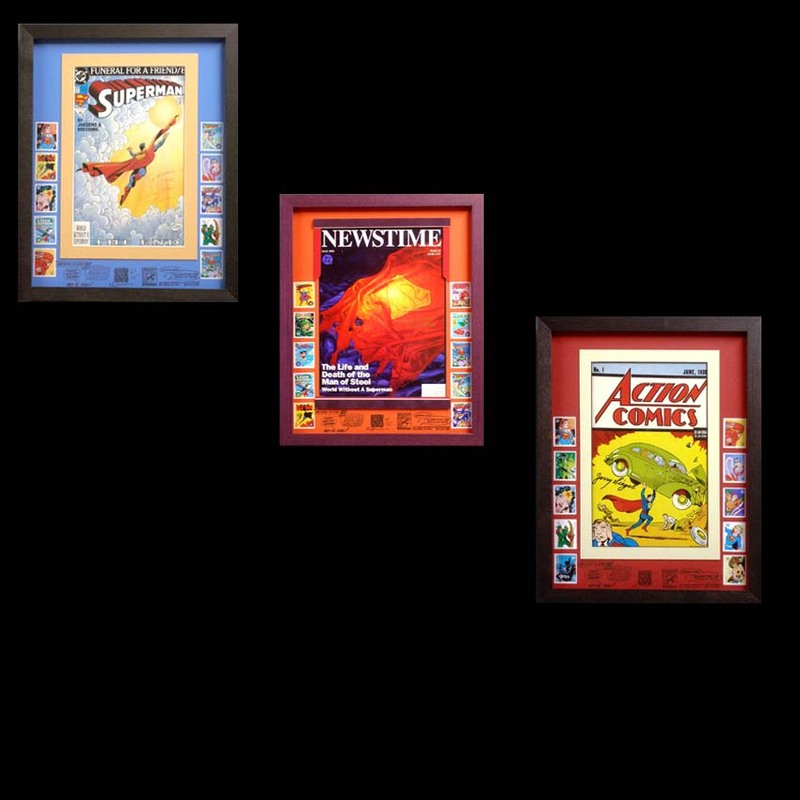 If you’ve got a Jimmy Stewart or Superman fan on your “give” list, or someone to impress, these will do the job.